Railpictures.ca - Matt Watson Photo: Dropping downgrade from Biggar, CN 3045 is working solo on a beautiful summer morning. | Railpictures.ca – Canadian Railway Photography – photographie ferroviaire Canadienne. 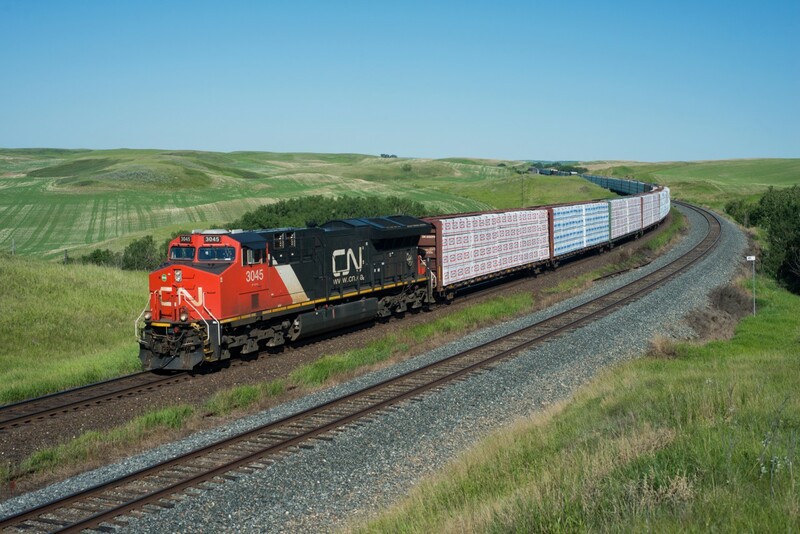 Caption: Dropping downgrade from Biggar, CN 3045 is working solo on a beautiful summer morning.